When it comes to looking for the financial aspect, starting up with a blog is absolutely free. Yes, it costs you nothing! There are lots of free blogging websites you can start from, such as typepad.com, blogger.com, and even WordPress.com. For those who just want to have a blog for their passion, these free platforms are okay. But they won’t make any income for you. You have to look for different header banners (design or photo at the top of your blog) and different layouts. You can also pick what you like in sidebars. You may also like to share your opinions or thoughts. But there are many people who switched to blogging and the web to make some money at their home. There are some legends that chose to skip the 9-to-5 rat race and turned into the path of blogging. Some people who were unemployed started something cool and new to start their next journey to life. Some people also decided to continue with their 9 to 5 jobs for permanent income but started blogging for extra income. 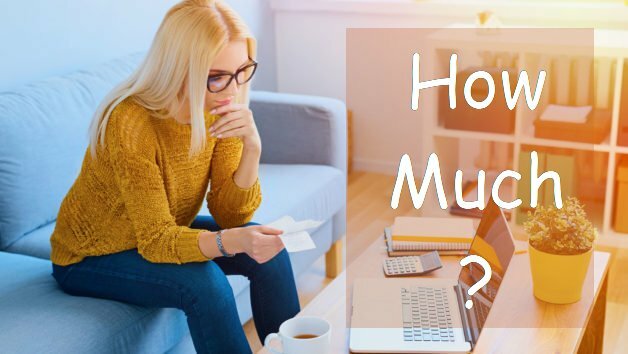 Househusbands and housewives also started to work from home, part time or full, with blogging to make some extra income. So, if you too want to make some money from blogging, I recommend not choosing the path of free blogging. It is just for those who do it for passion, not for money. Instead, investing some fortune in the blogging platform can definitely improve your ability to earn money in blogging. No Ads and Financial Perks – You cannot add advertisements of any type to your free blog as it is not allowed in most of the free blogging platforms. Otherwise, you could make money from ads. Not for Beginners – You need a lot of technical knowledge to start free blogging. Instead, it is better to go for paid platforms if you are not a technical user. Customization – Few of the options are also provided by free blogging platforms to change the design of the blog and you will also have a limited amount of web space. You may get some good options to choose headers, layouts etc. But they still have some restrictions. Plugins – Free blogging software also restricts you with the limited choice of plugins. If you don’t know, plugins are actually add-ons that can add functionality to your site. You can choose from thousands of free plugins. Some plugins are used to increase page load speed, some attract visitors, while some add videos, photos etc. In order to make a serious income from blogging, I recommend you to choose a paid blogging platform, such as WordPress. I know WordPress is free, as I said that above. In www.wordpress.com, WordPress software is free. It features almost everything, hosting, domain name, and software. But we don’t tell anyone to use it for a reason. Along with other reasons I’ve discussed above regarding problems with free blogging, you won’t have a blog if you refer to WordPress.com. By using it, you will be very limited with its functionality with this tool. Instead, we recommend www.wordpress.org to use WordPress software. This is because WordPress.org is recommended by Google. In fact, Google apparently claimed that it loves WordPress. With this platform, you can gain more visitors and traffic to your blog. So basically, creating a WordPress blog which is self-hosted and created using WordPress.org software is the best way to go. Most big bloggers prefer this option. For doing it, a domain name which is linked to your web host account and a web host are required. Along with it, you need a cool WordPress theme, WordPress.org software, and a few plugins that can add some functionality. If you have all these, you are all set within few hours. How Much Should I Pay to Get Started? Here is the cost you have to bear for the services when it comes to writing your blog. 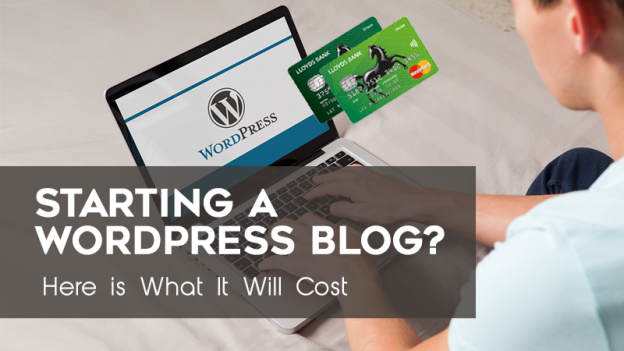 Be sure to consider the following costs as a rough estimate to start a blog. Hostgator – The web hosting service charges start from $5.56 per month. Similarly, it charges $66.72 for one year. For three years, it costs $142.56, i.e. $3.96 per month. Bluehost – Basically, they charge up to $6.95 per month. Currently, they are providing web hosting for $4.95 per month as a promotional campaign. You have to pay the whole fees for one year on sign up, i.e. $59.4. You may get even more discounts sometimes. We use Bluehost and we don’t think we would have to switch it. For a .com domain, you may be charged from $10 to $12 per year. You can get a domain name for free upon registration with Bluehost. There is no need to pay individually for domain name until the time you continue renewing the account. If you need to get domain name registration individually, which is not with a web host, GoDaddy is the best registrar for a domain name. We recommend registered a domain name with GoDaddy and few with Bluehost. WordPress.org provides absolutely free and the best blogging platform. There is no need to pay anything. If you get an account for web hosting with Hostgator or Bluehost, you can simply install WordPress with few clicks. You can find a lot of WordPress themes to choose from. But we recommend a premium theme to choose. This is because free themes are a bit unprofessional in their looks, take the time to find out how to customize objects and support which is non-existent whenever you need. On the flip side, premium themes cost money but they can save a lot of time in the long run with excellent support. For premium themes, you may have to pay from $50 to $100. There are lots of free themes out there. All you need to search the same on your favorite search engine. Genesis Framework – Genesis Framework + Child theme is the best choice if you spend up to $80. They look beautifully coded and stunning. 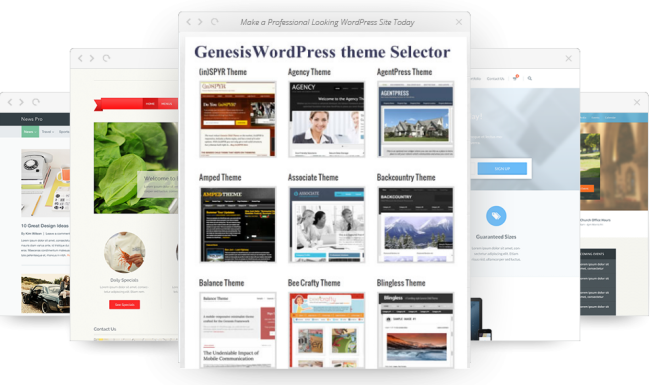 Read our full review about Genesis Theme Framework. Thesis – It is another premium theme which costs around $87 for several features. You can easily keep the information for another day and publish another article there. You may need a well-customized header banner for your blog. Your own branded header banner can add a different look and make your blog stand out of the rest. For a unique header banner, the price can range vastly, from $30 to $1000. The long list of free plugins is one of the best parts of WordPress and most of these plugins can be available at WordPress Plugin repo. There are a lot of premium plugins offered at different costs. If you are a new blogger and want to start your blog with low investment, there are no premium plugins or services required. But if your budget allows, you can instantly find some of the premium ones to improve the functionality of your site by boosting on-page optimization. You can keep growing with a lot of free plugins. Even I am not using premium one to date when there are lots of premium options available for my WordPress blog. These plugins Lead Your WordPress Website To the success and help improve the ranking of your site. You can either set up a blog yourself (if you are doing it yourself) or you may look for an expert who can set up a blog for you. This way, you can easily focus on content and on certain things. For some users, you may get a free service to install WordPress. But there are some WordPress Service Providers which offer these services for a fee with some support services. In order to sum up, you have to spend at least $60 per year for hosting and domain name only to make an extra income for a blog. For a header banner of your own brand, you need to pay $60 extra and $80 for a premium theme. All in all, you have to prepare yourself to pay up to $200 for the first year. The second year, you just have to pay $60 for hosting. Isn’t it the cheapest deal for your online business to establish? In the list above, we have not included the installation cost of your WordPress blog, blog setup, and any custom WP development and design. You may do it yourself, as we assume. Overall, you may have to pay up to $200 to get started with your online business.